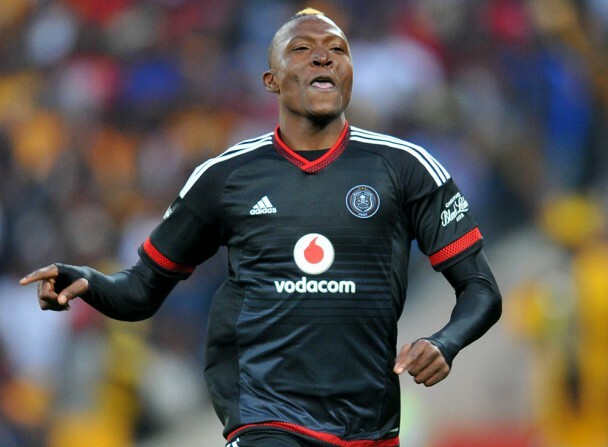 Orlando Pirates started their league campaign with a 3-1 win over Golden Arrows in Orlando on Wednesday night thanks to Tendai Ndoro's three second half goals. The game was to mark the end of an illustrious career for former Pirates captain Lucky Lekgwathi, who was paraded on the field prior to kick off following his decision to retire after 19 years in the game. The home side started the match brightly, Arrows keeper Maximilian Mbaeva having to react sharply to tip Oupa Manyisa’s rasping volley over the cross bar after the Bucs skipper had latched onto a loose ball 20 yards out. While Pirates enjoyed more of the possession, the Durban team looked dangerous on the counter, Lerato Lamola showing a clean pair of heels down the left flank on 20 minutes, but then failing to pick out two unmarked team-mates in front of goal. Indeed, as the half progressed, Abafana bes’Thende began to threaten with increased frequency, Kudakwashe Mahachi enjoying two chances around the half hour mark. But his first effort was straight at goalkeeper Felipe Ovono and the second was curled wide of the far post. Wayde Jooste then burst clean through on goal, but his parting shot was off target. Pirates also had a couple more chances in what was an entertaining game, Thabo Rakhale failing to hit the target after some excellent interplay before the impressive Bernard Morrison landed a 45-yard chip on the roof of the net with Mbaeva back-peddling. Lamola though could have put the visitors ahead just before the half time whistle, but skewed his shot wide of the far post after some incisive play. It took the Sea Robbers just three second half minutes to break the deadlock, Rakhale the instigator as he cut through the Arrows defence with the aid of a one-two with Mpho Makola before providing Ndoro with a relatively easy close range finish. Nduduzo Sibiya was to restore parity on 60 minutes, turning the ball in from close range after Mahachi’s shot had rebounded off the upright, Ovono to blame for the goal after he spilled a cross into the box. But Pirates were to were ahead again just six minutes later, Ndoro heading in emphatically from Makola’s inviting free kick, the Zimbabwean having been given too much space in the box. Ndoro’s third goal, on 75 minutes, was a brilliant effort, the striker showing great technique and athleticism to swivel on the edge of the box before firing into the top corner.